Chinese Electronic Commerce Law, after four official reviews at the Congress and several rounds of public consultation, was finally approved the the National People’s Congress (NPC) Standing Committee on August 31, 2018. 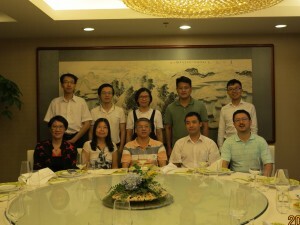 Prof. Xue, as leading expert on the Expert Lawmaking Panel appointed by the NPC , took part all through the 5-year intensive research, investigation, drafting and annotation process . The Law that is creative, comprehensive and forward-looking in various areas will be effective as of January 1, 2019. The Law. It addresses a series of new legal issues that had never been regulated in any other laws, home and abroad. There is no better chance to celebrate the enactment of the China’s E-Commerce Law on August 31, 2018 with a Public Lecture dedicating to innovative legal issues, i.e. AI and Erasure Right. 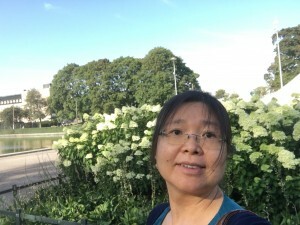 In the first part, Dr. Liu offers a brief introduction to artificial intelligence, followed by a discussion on potential legal and policy issues associated with artificial intelligence. Artificial intelligence that is poised to become the fourth industrial revolution, fundamentally changing the way we live, work, and learn. In the second part, Associate Professor Gehan Gunasekara examines the right to erasure (the so-called “right to be forgotten”) as it has taken shape in New Zealand both through common law and statutory developments. Focusing in particular on the Privacy Act 1993 he examines the connection between the need for erasure and related data privacy concerns, including the limits of correction, data quality and data retention limits. He argues that this bundle of rights is founded on respect for context and ought to be viewed as a societal right and not only an individual one. Finally, the presentation explores the special challenges arising from the digital sphere especially when information is linked or indexed online and hint at possible solutions. 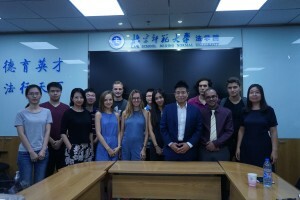 The BNU students, Chinese and international, enjoyed the lectures and interacted with the two experts actively. The Association of Pacific Rim Universities (APRU) Summer Seminar 2016 on Digital Economy was held in the last week of August 2016 in Tokyo. 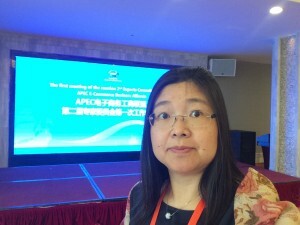 Prof. Xue, as a Member of Academic Advisory Council of The Asia Pacific Institute for the Digital Economy (APIDE) joined the seminar and taught at several sessions to the governmental officers from the APEC economies. 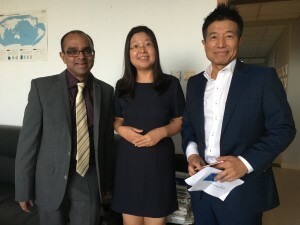 Prof. Xue gave an orientation on digital economy and policy shifting in the world and presented on copyright and innovation industry in the digital economy. APRU provides a framework for a range of cooperative activities among universities in the region, with current joint projects on climate change, the aging society, disaster preparedness, and global health. Reflecting the growing importance of the Internet, the 2014 APRU Annual Presidents’ Meeting agreed to work on a joint Initiative on “Governing the DIgital Economy.” The goal is to bring the academic community in the region into stronger contact with other members of the multistakeholder community concerned with the future development of the Internet. Under the framework of the APRU Internet Governance Initiative, Keio University has hosted an annual APRU Digital Economy Business Offsite engaging the business community in the region and an APRU Digital Economy Summer Seminar working with regulators to build capacity in the Internet policy space. APIDE, established in 2012, is a research institute that can work with the academic community to clarify policy options and help build consensus around a set of pragmatic actions based on solid research and analysis throughout the Asia Pacific. The 6th APEC E-Commerce Business Alliance Forum was held on June 28-30, 2016, in Jinjiang, China. 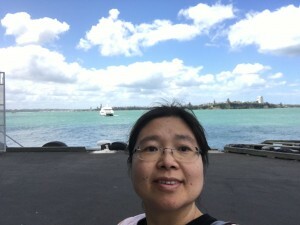 Prof. Xue, who was appointed on the Expert Council of the APEC E-Commerce Business Alliance, presented at the Forum on the International and Global e-Businesses and joined the Expert Council meeting. 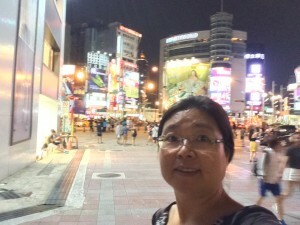 She was one of the primary drafters of the Jinjiang Proposal, a statement officially released at the Forum and later presented at APEC meetings. In line with the theme “Promoting inclusive trade through cross-border E-Commerce “, the Forum explored the new development of cross-border E-Commerce for SMEs to participate in international trade in terms of opportunities, challenges and the future deeply and comprehensively, and how to ensure data privacy security issues in the era of big data, and discussed the impacts of developing cross-border E-Commerce on benefiting SMEs, driving a new round of global economic development and deepening the Asia-Pacific regional economic cooperation, so as to promoting stability, development and prosperity in Asia-Pacific region. To fully implement policy and business research advantages of the Alliance within its own field, actively explore practical ways and future prospect for small, medium and micro enterprises to participate in international trade and integrate into international value chain including obstacles which existing international trading system have on small, medium and micro enterprises integrate into international value chain, cross-border E-Commerce platform and environment, conditions and methods for small, medium and micro enterprises to develop cross-border e-commerce, to actively explore small, medium and micro enterprises innovation and entrepreneurship under the condition of Internet; to investigate innovation needs of each member country regulation mode regarding cross-border E-Commerce including the effective regulatory methods which the government and regulatory body have on flows of digital data and technologies, the protection which innovative systems and rules have on small ,medium and micro enterprises and the interests of consumers etc. These methods will promote and encourage small, medium and micro enterprises to participant in international trade through E-Commerce effectively. To actively promote each member’s government and industry organizations, try to form the rules for cross-border E-Commerce platform, establish cross-border E-Commerce credit verification system and markets for small, medium and micro enterprises in APEC region, to encourage cooperation and collaboration modes such as the Government and Enterprises ( PPP), platform and platform , reform international logistics practice, establish new international payment systems and credit rules in order for small, medium and micro enterprises to carry out cross-border E-Commerce. 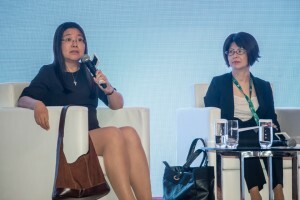 It recommends that all APEC governments and regulatory bodies allow for the development of industry standards for information technology and e-commerce that can be applied and observed equally by all SMEs throughout the APEC region. This will require that all relevant industry participants, especially SMEs, be allowed to participate in the process of developing these standards. The process could be organized and sponsored by the government agencies, but industry participants (including SMEs) should be allowed significant opportunity to present decisive input, and the process must be fair and transparent. The resulting industry standards must be acceptable and readily practicable throughout the APEC region not only applicable to certain entity. The result should be a network of e-commerce infrastructure that SMEs from any nation in APEC can access to participate and compete effectively in international trade throughout the region. c) To emphasize and strengthen capacity-building in the field of E-Commerce and encourage capacity-building training activities, shorten the difference among the economies, and promote APEC economies complementary advantages for each other. 5. We are committed to continue to strengthen coordination and cooperation with other relevant international, regional cooperation organizations and forums, so that APEC E-Commerce Business Alliance would play a more important role in regional and global economic governance system.